Did you know that many scholars believe that the 12 disciples whom Jesus chose were probably under the age of 20 when Jesus selected them, all except Peter? 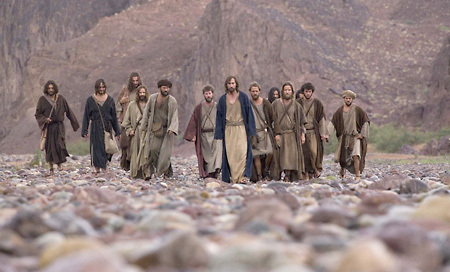 Very different then the common pictures of Jesus and his old bearded disciples.Recently, I was doing an exegesis on Mathew 17:24-27, where Jesus tells Peter to catch a fish, and in the fish, he would find a coin to pay Peter’s and Jesus’ taxes. This story led me to discover that scholars believe the reason why taxes were only needed to be paid for Peter and Jesus was because they were the only ones over the age of 20, and that was the age when you started to pay your taxes! Are there any other clues/evidence that support this theory? YES. We only know of Peter being married (he had a mother-in-law), and men in that culture got married between the age of 18 and 20. We believe most of the disciples were unmarried when Jesus selected them. Jesus refereed to the disciples as “little ones” a couple of times (Matthew 11:25, Luke 10:21, and John 13:33). Would be kind of strange if there were a bunch of old, bearded men. There is some counter evidence for that as well. For example, John wrote the book of Revelation probably in 90 AD, and we assume he was around 90 years old when he wrote it. If Jesus was born in the year 4 or 5 BC (that’s the date most scholars believe), and if Jesus selected his 12 disciples at the age of 30 (that’s how old Jesus was, when he started his ministry), then that means it was about 25 AD when Jesus selected his disciples. That would probably mean that John was about 25 years old when Jesus selected him to be one of his disciples. Whether 18 or 25 years old, It is certain that Jesus did not choose a whole bunch of 40 or 50 year olds as his disciples. He chose young men. And to me, that’s a great encouragement.